SOME traditional leaders have reportedly started pushing for the ouster of the Chiefs’ Council president Fortune Charumbira (pictured), whom they accuse of frog-marching them into Zanu PF politics when they were supposed to be non-partisan. The council is set to hold elections for new office bearers today in Masvingo under the auspices of the Zimbabwe Electoral Commission (Zec). Efforts are reportedly also underway to strip Charumbira of his chieftainship after the Traditional Leadership Support Services Department (TLSSD) last year questioned his legitimacy. The department wrote to the Local Government and National Housing ministry calling on the minister to set up a probe team to investigate the traditional leader’s legitimacy. Chief Vezi Maduna is tipped to take over from Charumbira as the Chiefs’ Council president while in Matabeleland North and South, Chief Sibasa and Chief Jahana are likely to take over as provincial chiefs’ council chairpersons. The TLSSD memorandum to the minister provides a clear lineage of the Charumbira chieftainship, which excludes the incumbent Chief Charumbira. “We refer to an application by F Mhihwa Mapingure to His Excellency (President Emmerson Mnangagwa) for the resolution of the Charumbira chieftainship dispute. After perusal of the Charumbira file, the department thinks that the claim has substance… The Charumbira chieftainship was started by Mudavanhu Chief number one who passed on the chieftainship to his sons in order of seniority as follows: Mututuware − chief two, Mapingure − chief three, Mutana − chief four, Mataruse − chief five, Mudzimbasekwe − chief six, Mawoni − chief Seven, Magura − chief eight and Magyira − chief nine,” the memorandum read in part. TLSSD further traced how the chieftainship was handed down before it was abolished and Mazha was appointed Headman Charumbira under Chief Chekai Shumba on May 1, 1950, on the grounds that he had been acting chief for several years and he was relatively younger than the correct claimants. A meeting held in March 1961 established that Mazha was not the correct office holder and the resuscitation of the chieftainship had to pave way for the right heir (from the Mapingure house), according to the memo. It was further noted that the legitimacy of Mazha’s claim was never questioned even though the sons of Mapingure and Magura had stronger claims. TLSSD stated that appointment was done in terms of the vote against the Charumbira custom on March 5, 1962 when a meeting which comprised of 24 kraal heads voted to select a successor among Mazha of the Madyira house, Nyaku of the Mapingure house and Muchati of the Mataruse house. Nyaku had 37 votes, Mazha 35 and Muchati 2. “Once again, despite the vote which Nyaku won, customs and tradition were at this point deliberately violated by the colonial system when the provincial native commissioner recommended Mazha in his stead. Mazha was appointed Chief Charumbira 10 on March, 1964,” the memo read. 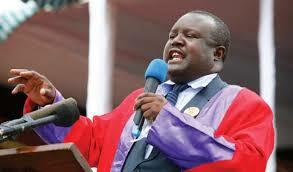 Zefaniya acted for four years during which he rose through the ranks to beSenator Chief Charumbira. He is believed to have used his influence in the Council of Chiefs and his relationship with the Rhodesian authorities to rise to the chieftainship “contrary to the succession custom of the Charumbira clan”. Zefaniya was appointed substantive chief in 1975. Following his death on February 10, 1991, his son, Fortune, was appointed acting chief on January 14, 1992, before he was promoted substantive chief by former President Robert Mugabe. The Mapingure clan contends that the chieftainship was supposed to come to their house. It is against this backdrop that TLSSD recommended a probe to correct the error and appoint the deserving chief in line with the culture, customs, traditions and practices of the Charumbira community. Efforts to get comment from Charumbira and TLSSD director Felix Chikovo on the developments were fruitless as their mobile phones went unanswered since last week.